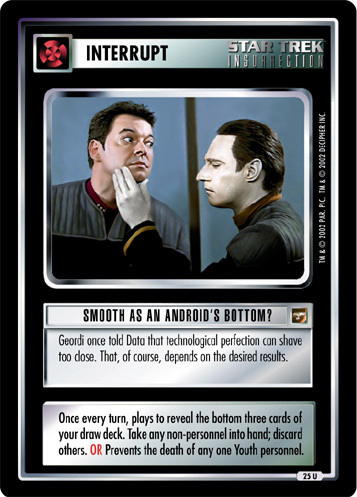 Each starship is assigned a unique security code to prevent remote access to its vital systems. 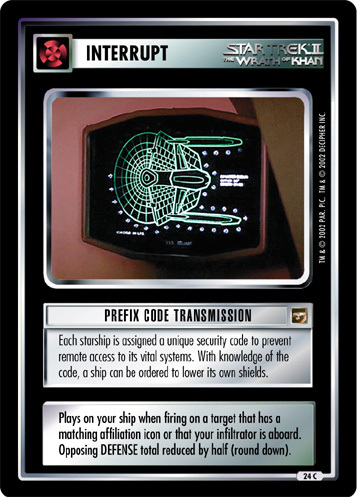 With knowledge of the code, a ship can be ordered to lower its own shields. 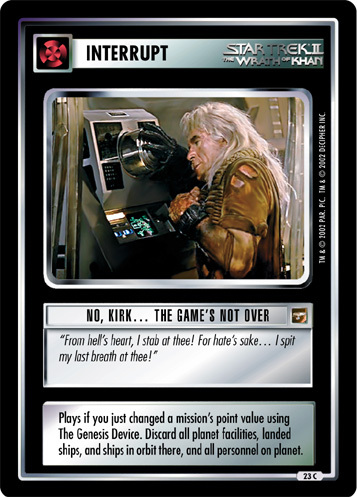 Plays on your ship when firing on a target that has a matching affiliation icon or that your infiltrator is aboard. Opposing DEFENSE total reduced by half (round down).